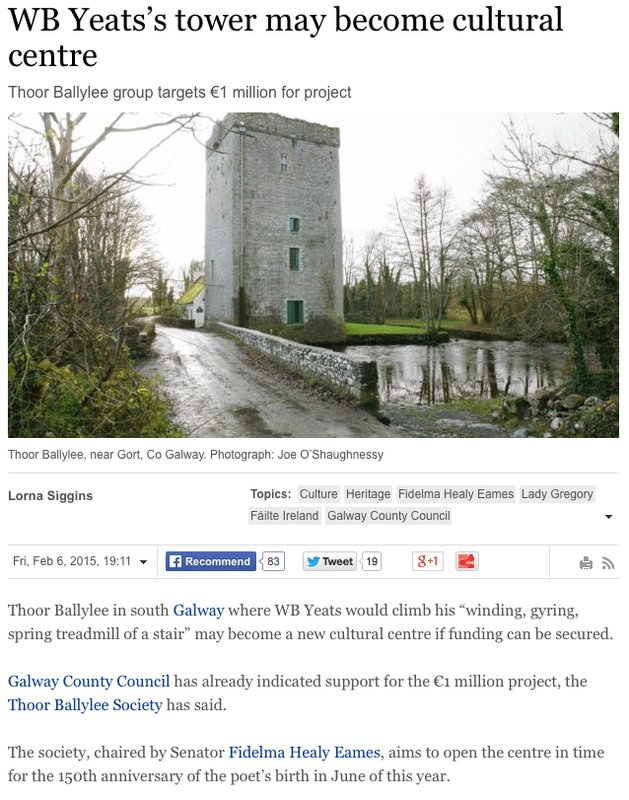 The Yeats Thoor Ballylee Society development project launch continues to provoke interest. 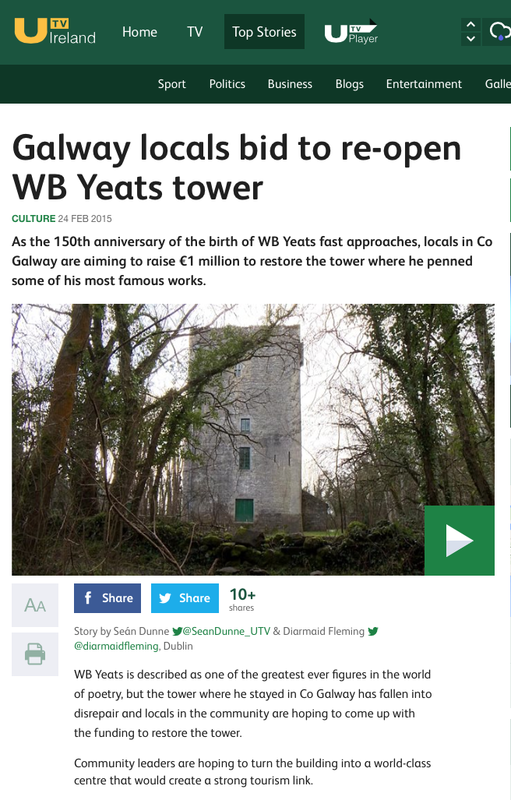 Included here is a video of Ronnie O’Gorman speaking at the launch about Yeats’s purchase of the tower, its history, and its vital importance to Yeats’s own poetry. 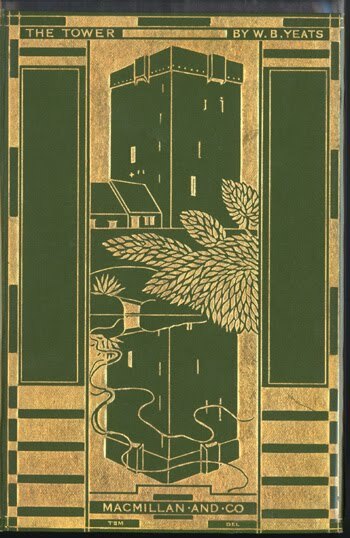 He draws attention to Thomas Sturge Moore’s wonderful cover for Yeats’s seminal volume The Tower (1928), featuring an image of Thoor Ballylee reflected in water (things above are as things below) which is the inspiration for the Society’s logo. 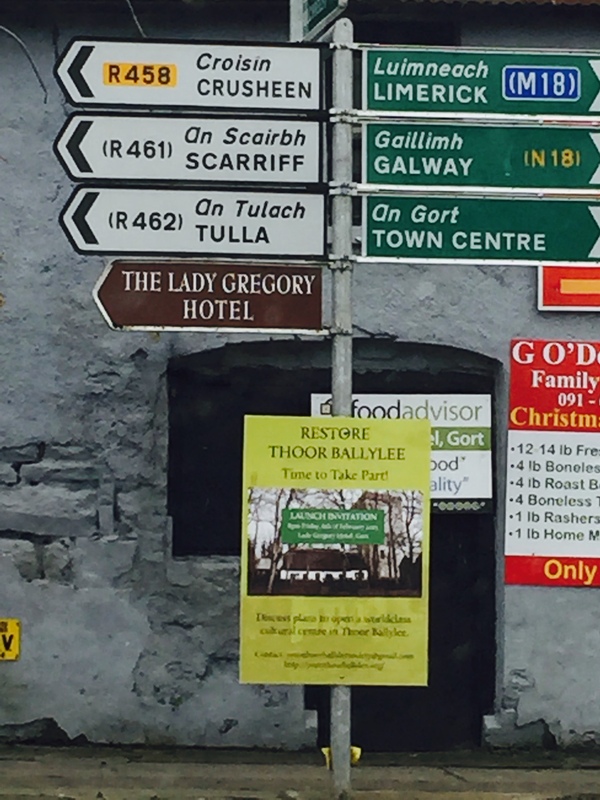 Also included is an image of the poster for the launch in situ in Gort. Details of how to donate online will be made available shortly. 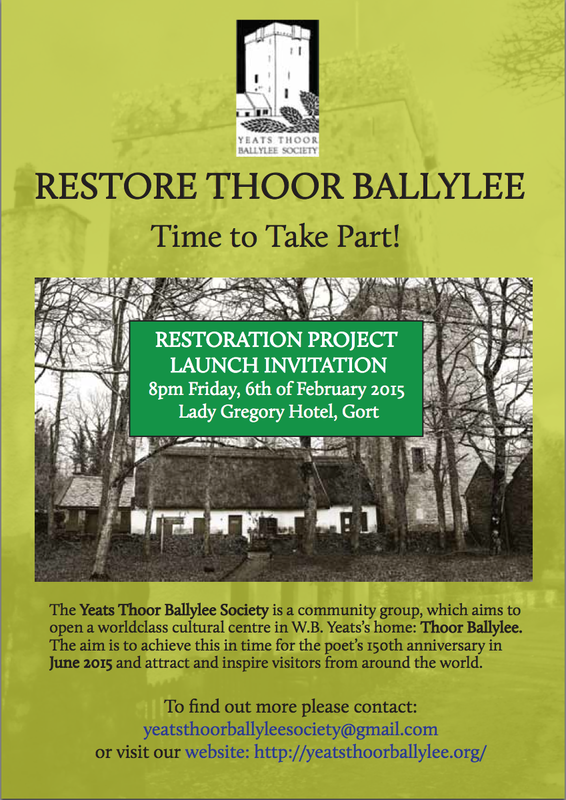 The Yeats Thoor Ballyllee Society launches the restoration project at 8pm Friday 6th February, Lady Gregory Hotel, Gort, Galway, Ireland. 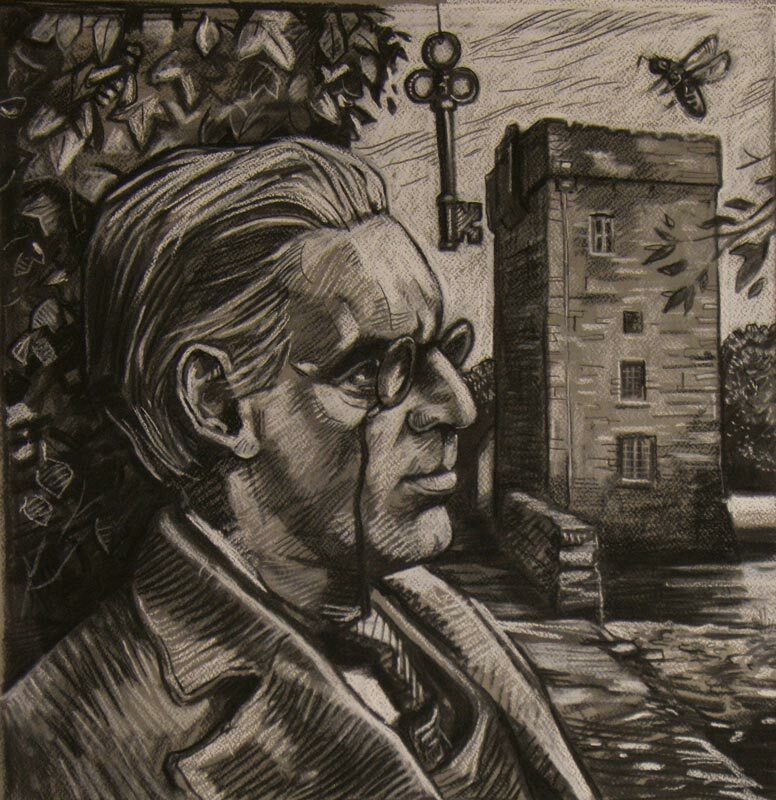 The Yeats Thoor Ballylee Society is a community group which aims to open a worldclass cultural centre in W.B. Yeats’s home: Thoor Ballylee, in South County Galway, Ireland. Our aim is to achieve this in time for the poet’s 150th anniversary in 2015 attracting and inspiring visitors from around the world. 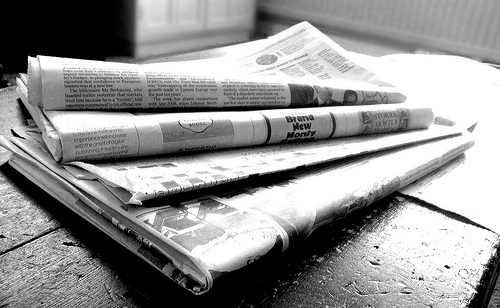 As a local community group, we need your help to kick-start this vital project. Come along to our public meetings, attend our cultural events, volunteer to help, and spread the word: follow our website, like our facebook page, and, most of all, tell your friends about the project. Please look around our website to find out more, read updates on our progress, learn about the tower and its history, join in discussions, make donations, and discover exciting sponsorship opportunities.